Click [HERE] to see photos for the movie "Holy Grail in America"
Explores how a secret cabal of influential families has shaped the United States according to the principles of sacred geometry and Goddess veneration. 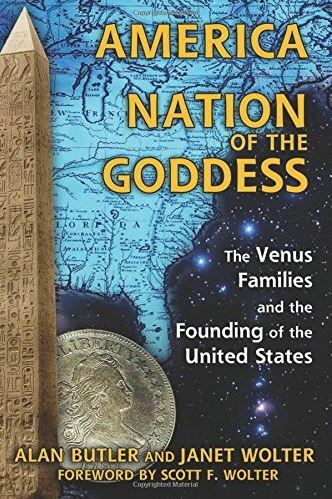 In America: Nation of the Goddess, Alan Butler and Janet Wolter reveal how a secret cabal of influential “Venus” families with a lineage tracing back to the Eleusinian Mysteries has shaped the history of the United States since its founding. The evidence for such incredible assertions comes from American institutions such as the National Grange Order of Husbandry and from the man-made landscape of the United States where massive structures and whole cities conform to an agenda designed to elevate the feminine within religion and society. The authors explain how the Venus families, working through the Freemasons and later the Grange, planned the American Revolution and the creation of the United States. 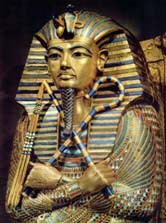 It was this group who set the stage for the Founding Fathers to create Washington, D.C., according to the principles of sacred geometry, with an eye toward establishing the New Jerusalem. The authors explore the sacred design of the Washington Monument, revealing its occult purpose and connections to the heavens. They reveal how the obelisks in New York City depict the stars of Orion’s Belt just like the Giza pyramids and how the site of one of them, St. Paul’s Chapel, is the American counterpart to Rosslyn Chapel in Scotland. Exposing the strong esoteric influences behind the establishment of the Grange in the United States, they connect this apparently conservative order of farmers to the Venus families and trace its lineage back to the Cisterians, who were a major voice in the promotion of the Crusades and the establishment of the Knights Templar. The authors conclude with the startling revelation that nearly every city in America has a temple to the Goddess hidden in plain sight--their baseball diamonds--exposing the extent to which the Venus families are still at work behind the scenes. is the third book in a series that investigates the origin and meaning of a mysterious symbol originally found on the five fiercely debated medieval North American rune stones. 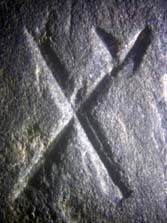 That research led forensic geologist Scott Wolter on a world-wide search that resulted in several explosive discoveries, including the stunning realization that the Hooked X symbolizes an ideological thread that weaves through at least 3,800 years of human history. 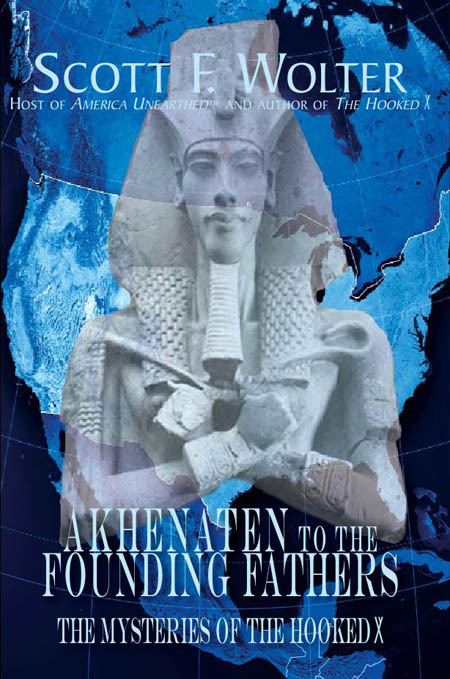 This amazing story involves some of the most important figures in world history, including the Egyptian Pharaoh Akhenaten, the biblical Jesus, the medieval Cistercians and Knights Templar, numerous Native American tribes, Freemasonry, and the founding fathers of the United States, including Benjamin Franklin, Thomas Jefferson, and George Washington. We're talking about the Knights Templar. 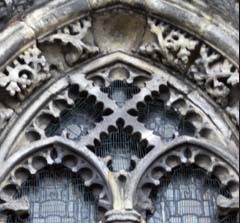 The Templars were the military order of Cistercian monks who were persecuted and killed at the hands of the Roman Catholic Church in 1307 due in part to their dissenting beliefs about the role of God versus the Virgin Mary in religious worship. But not all the Knights Templar we're killed. 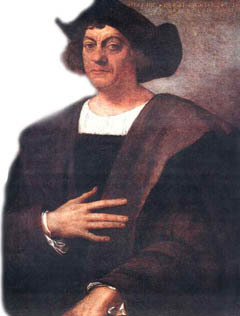 After persevering in hiding, there's evidence they started a new society in North America. Against the stunning backdrop of medieval ruins in Scotland, England, Sweden, and Denmark, and amongst artifacts and monuments on the East Coast and in our nation's capitol, we'll show you how and why Templar ideals are reflected in some of our country's oldest mysteries. It's a story that will shake your long-held beliefs about the foundation of our country, and explore the connection the Templars have to the Freemasons who laid the framework for our government. Who Owns the Kensington Rune Stone? is the culmination of my seven-year odyssey to understand the origin of a mysterious symbol that first appeared on a highly controversial, century-old artifact called the Kensington Rune Stone. The discovery of the meaning of the Hooked X was stunning, as was the secret history behind it that gradually unfolded during my quest to learn more about that history through research. This journey has been nothing short of amazing as it winds through the mysterious worlds of the medieval Cistercians, the Knights Templar, and modern Freemasonry. 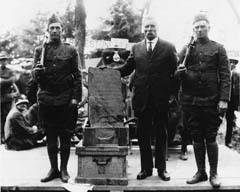 The story begins with the discovery of a 202-pound stone unearthed by Swedish immigrant farmer named Olof Ohman, who was clearing trees in preparation for farming back in 1898. 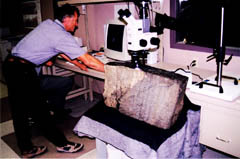 The slab of graywacke contained a lengthy inscription carved in Norse runes whose message has only been recently deciphered accurately. 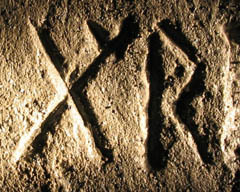 In 2005, I co-authored a book entitled The Kensington Rune Stone: Compelling New Evidence that presents a large body of evidence that conclusively proves the artifact is indeed a fourteenth-century document. The Hooked X picks up where that story leaves off taking the reader on a journey from Minnesota to the New England Coast, where four more medieval rune stones are found. The trail then leads to a mysterious round stone tower in Rhode Island that could only have been constructed by a highly controversial group from Europe before the time of Christopher Columbus. 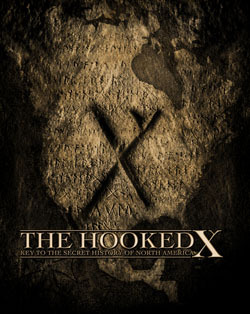 The story that unfolds behind the Hooked X shatters many historical and religious paradigms and ultimately reveals the startling untold history of North America.